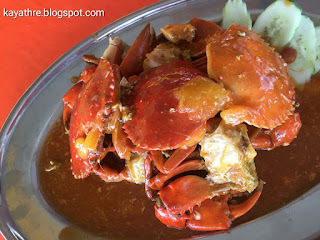 Few days back, I went to Kuala Selangor just to eat seafood. 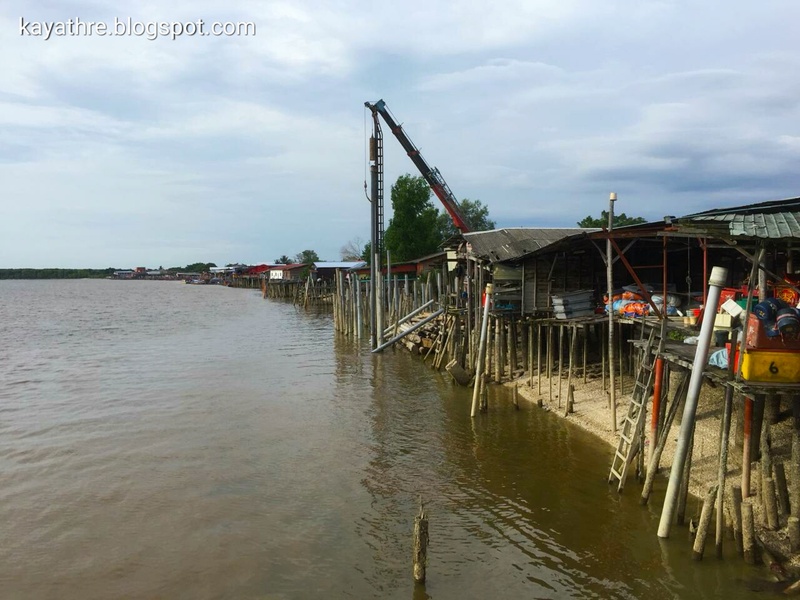 The initial plan was to Sekinchan but since not enough time, changed the plan to Kuala Selangor. It took around 1 hour 10 minutes drive from Klang to Kuala Selangor. So, left around 4pm and reached there around 5.30pm. Since the lunch was skipped and I only had coffee with four pieces of wheat germ crackers for breakfast, I was starving. Once reached there, there was a parking right in front of the restaurant. Parked the car and found a table facing the river. The restaurant was less people because it was past lunch hour and not dinner time yet. The day was just nice. It was windy and very relaxing. The waitress came once sat at the table and gave the menu. All the items looked delicious on the menu. Since came with the intention to eat crabs, so first ordered sweet sour crabs. 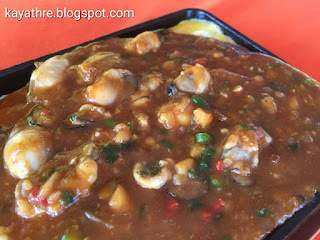 Then added on sizzling oyster, dry chilli mantis prawn and kangkung belacan. While waiting for the food, I noticed many malays also eating there. So very sure this restaurant famous for its fresh seafood. The food arrived after some time. 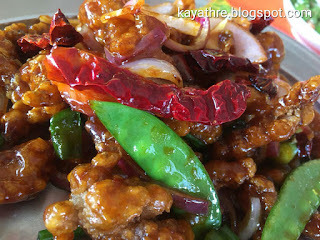 First came the dry chilli mantis prawn. It was nice and crispy but I did not like its fishy taste. I don't know why it has the fishy taste. 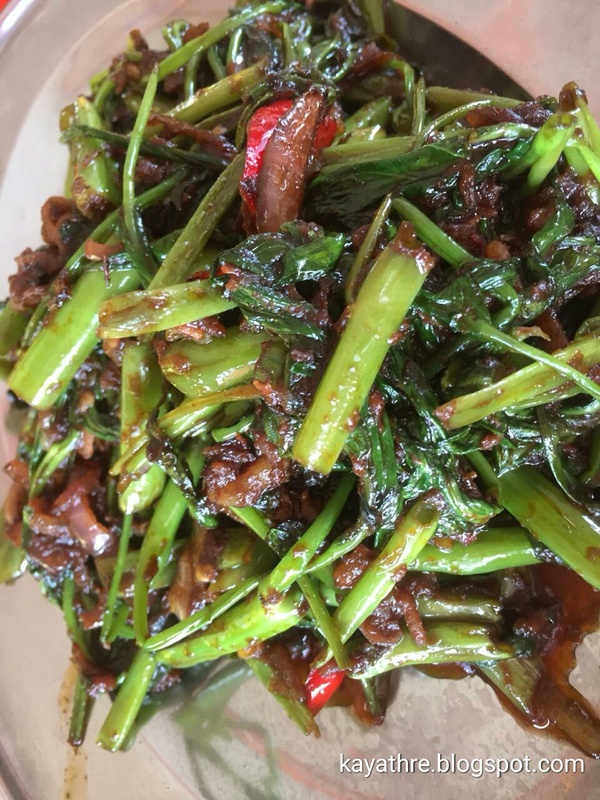 Then came the kangkung belacan. It was really yummy. I always did not get to order this during family dinners because my brother hates it. So, today I ordered it because he was not there. 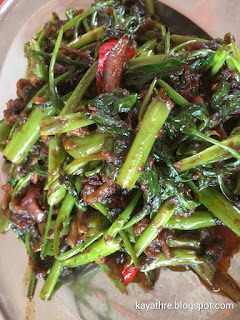 The kangkung belacan was really yummy with its belacan taste and lots of dried shrimps. I liked it a lot. Next was sizzling oyster. It came on a hot plate looked very yummy. When put that oyster in the mouth, can feel its freshness. They put lot of bird eye's chillis in it and it was very spicy and I loved it. Finally came the main item, the sweet sour crabs. 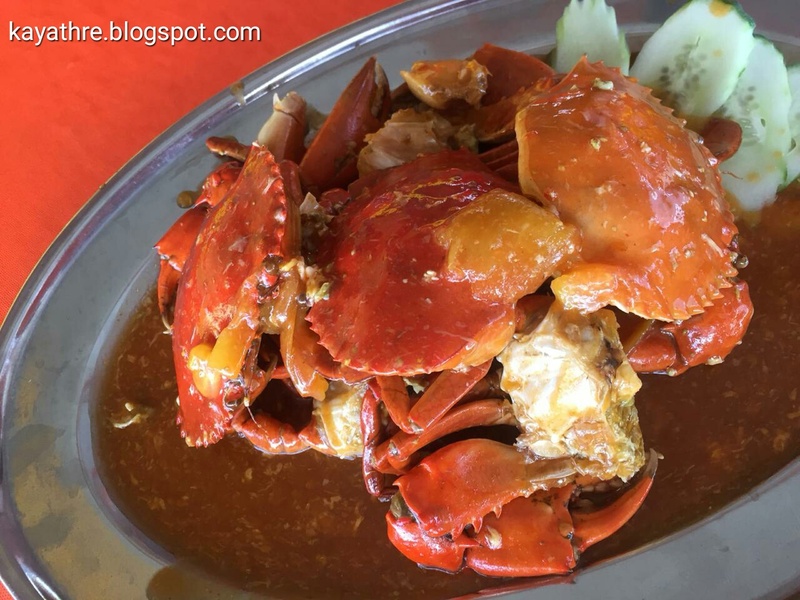 Ordered only 1kg and the waitress said only 3 crabs for 1kg. I was doubting initially whether three crabs enough. But, when the item arrived, it was more than enough. They are really big fat crabs and full of meat. Every part of the crab had lot of meat. It was simply delicious. When I was busy hitting my crab with hammer to break its shell, a small stood beside me and looked at me weirdly. She must have thought I am cruel lady killing the crab with hammer...lol. The portion was a lot for small size. So, struggled a bit to finish everything. I was very satisfied with the food. The total bill was around RM170. Then, left that restaurant with full and contended stomach and started the drive back home. You can find the restaurant in waze. 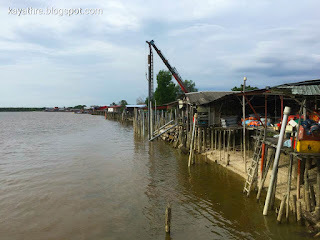 Just search River View Seafood Restaurant Kuala Selangor.